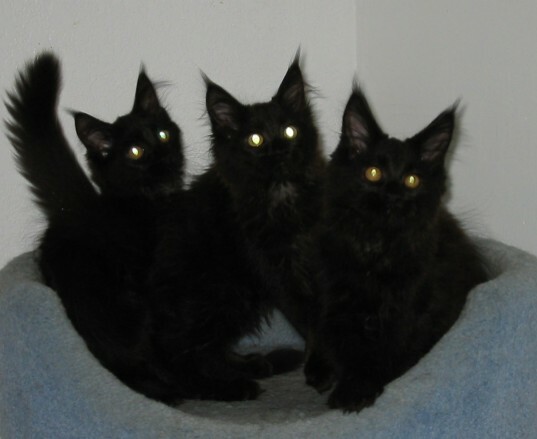 Here they are at 3 months of age. This has to be one of the purringest litters we've had in years. They purr when you pick them up, they purr when you talk to them. They even purr when they hear us coming down the hall to the kitten room -- so loudly you can hear them right through the closed door!